Mrs. Betty Jean Davis, born on October 23, 1923, entered into eternal rest on Sept. 24, 2018. She was raised in Farmington, W. Va. and Akron, Ohio with her dearly loved sister, Alma, by loving parents, Elsie and Chester Park. After graduating from high school in 1942, she married her husband, Lyle N. Davis who was then called to serve in the 80th Army Division, 313 Field Artillery under Gen. Patton. After graduating from Akron U and receiving masters degrees in Guidance and Counseling, Administration and Supervision from the University of Miami, Fla., Betty began a teaching career in Miami at Perrine Elementary and Rockway Jr. High. She became a Teacher on Special Assignment to assist in initiating the Elementary Guidance program for the Southwest District, then served four years on the Human Relations Team for Dade County Schools. She then went to Coral Park Sr. High as the Pride Specialist where her husband also taught history. They both retired in 1984. At Wayside Baptist Church in Miami, Betty taught children and adult SS classes, was a choir member, and directed the children’s choir. In 1979 upon receiving a special “family calling,” Pastor Gregory A. Davis, with his father Lyle, brother Gary L. Davis, and friend Mr. Ferguson, became founding elders of their beloved Open Bible Baptist Church of Miami, Fla., where Betty also served in various capacities for 22 years. After relocating to Peachtree City to live near her children and grand-children, she and Lyle became members of Braelinn Baptist Church and later she joined South Metro Ministries in Sharpsburg, Ga.
Betty is predeceased by Lyle, her adored husband of 62 years; survived by her treasured children Gary (Sheryl), of Peachtree City, Greg (Viviane) of Cookeville, Tenn.; dearly loved grand-children Dr. Gary Davis, Jr. (Shelly); Dr. Matthew Davis; Annette Rowland (Donnie); James Davis; and Jeremy Davis; six precious great-grandsons; nieces and nephews, two sisters-in-law and a brother-in-law. 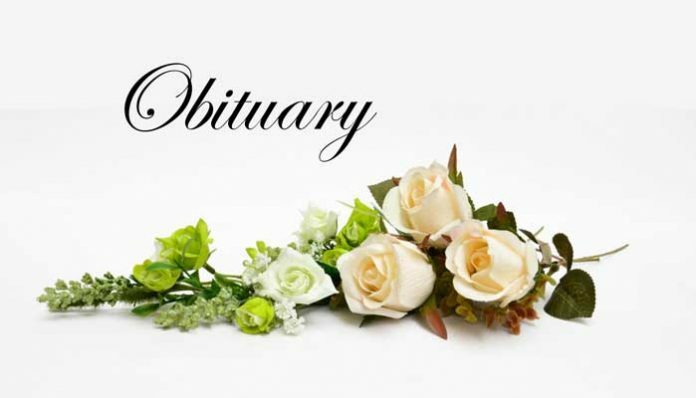 Funeral services will be handled by Carmichael-Hemperley Funeral Home, 135 Senoia Road, Peachtree City, Ga. 30269. Interment Westminster Memorial Gardens, Peachtree City. Those wishing to make donations may contact The Billy Graham Foundation. For information on service time and location, please go to www.carmichaelhemperleypeachtree.com.